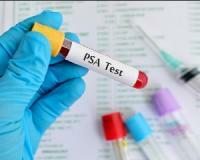 Men, should you go for the PSA test? Considered the number one indicator of impending prostate problems, the prostate specific antigen (PSA) blood test measures the amount of a certain “tumour marker” (antigen) released into the bloodstream by cancer cells. Although your PSA reading can rise for both BPH and cancer - a sharp elevation is typically considered a telltale sign of prostate cancer. Some health experts have determined that PSA screening can be a waste of time – and money. Their reasoning is that patients detected early do not necessarily live any longer than those detected later. But that doesn’t take into account that new breakthroughs in all areas of medicine come to light on an almost daily basis. It's always better to know about a problem and deal with it in the best way possible than to not know about it and blissfully go on. There is also some evidence that the PSA test can produce false positives. In fact, one study published in the Journal of the American Medical Association (JAMA) showed that in more than half of the cases where tests showed elevated PSA levels, they actually returned to normal in subsequent tests without treatment of any kind! So, if your first test comes back with signs of danger, don’t panic. It might be worthwhile to schedule yourself for another test and a second opinion and decide on a course of action from there. A urologist at Columbia Presbyterian Hospital has developed a test of bound PSA that can indicate if the tumour has progressed outside of the prostate gland itself. This is a fairly accurate way to gauge the extent and the progress of the disease, as well as the effectiveness of the treatment. Ask your urologist about using this test if you're diagnosed with prostate cancer. Starting in as little as two weeks! Get the first PSA test done as early as age 50 – sooner if you have a family history of prostate cancer or symptoms. Remember however, when you go to have your prostate checked, get the PSA level drawn before the digital rectal exam. The prostate can get irritated during the digital examination, which could lead to an artificially elevated PSA reading. The PSA density (PSAD) – which is calculated by dividing the PSA reading by the estimated weight of the gland (information calculated by the ultrasound machine) – indicates an almost certain malignancy if over 0.5. While if it’s below 0.12, malignancy is unlikely. The numbers in between represent the “grey zone,” which calls for re-evaluation in six to 12 months. If your PSAD is slightly elevated, your doctor may want to do a biopsy. That can be useful, but a negative report doesn’t rule out cancer if your PSAD is high. If your PSA is extremely high (over 15), chances are cancer has spread to the bone, and you should begin a total programme right away. Don't leave your health to chance, get the PSA test done - just be sure to get a second opinion if it comes back positive - and determine whether surgery is really necessary based on your age and how aggressive the cancer is.